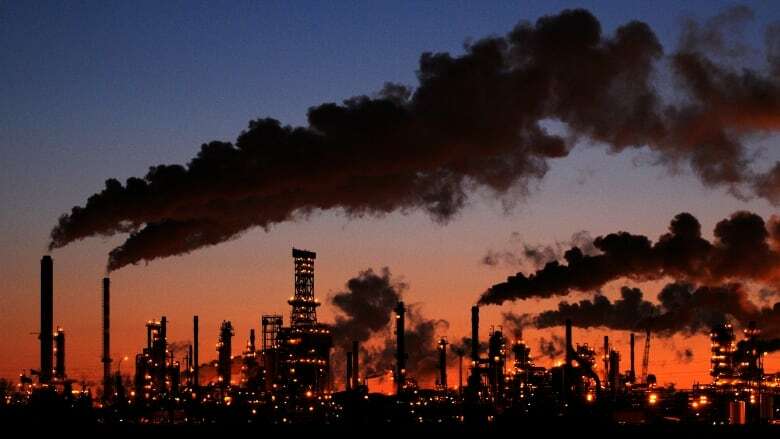 The deputy governor of the Bank of Canada touted the case for pricing carbon during a speech in Montreal on Thursday, warning that climate change and actions to address it will have "material and pervasive effects on Canada's economy and financial system." Citing estimates by the now defunct National Roundtable on the Environment and the Economy, a former federal agency that was disbanded by Stephen Harper's Conservative government, Timothy Lane noted that Canada could "face annual costs of between $21 billion and $43 billion by the 2050s" if action is not taken to mitigate global warming. Noting that climate change is associated with extreme weather events, Lane pointed to the wildfires in Alberta that reduced Canada's GDP by one per cent in the second quarter of 2016. Lane said moving to a low-carbon economy will require profound structural changes to the Canadian economy. In terms of addressing climate change, Lane focused on two options for policymakers: pricing carbon and financing green initiatives. A price on carbon can be established through a carbon tax or a cap-and-trade system, but "either way, we create incentives to reduce greenhouse gas emissions in the most efficient way." Pricing carbon is a central element of the Liberal government's national framework on climate change. Federal Conservatives and Saskatchewan Premier Brad Wall have loudly criticized the Trudeau government's plan to establish a price. "In economic terms, climate change is a negative externality. Any individual or company that engages in activities that generate greenhouse gases imposes a cost on everyone else by contributing to climate change," Lane said. "Establishing a price for carbon emissions forces polluters to bear those wider social costs." Despite the skepticism of some, Lane said, price incentives work to change behaviour, pointing to an estimate that emissions have been reduced in British Columbia as a result of that province's carbon tax. The deputy governor acknowledged that it can be costly for businesses and households to reduce their carbon footprint, but he noted that the revenue a government receives from pricing carbon can be used to lower other taxes and assist industries and families. In the prepared text of his remarks, Lane also noted that pricing mechanisms can be designed to address competitiveness concerns that trade-exposed industries might have.